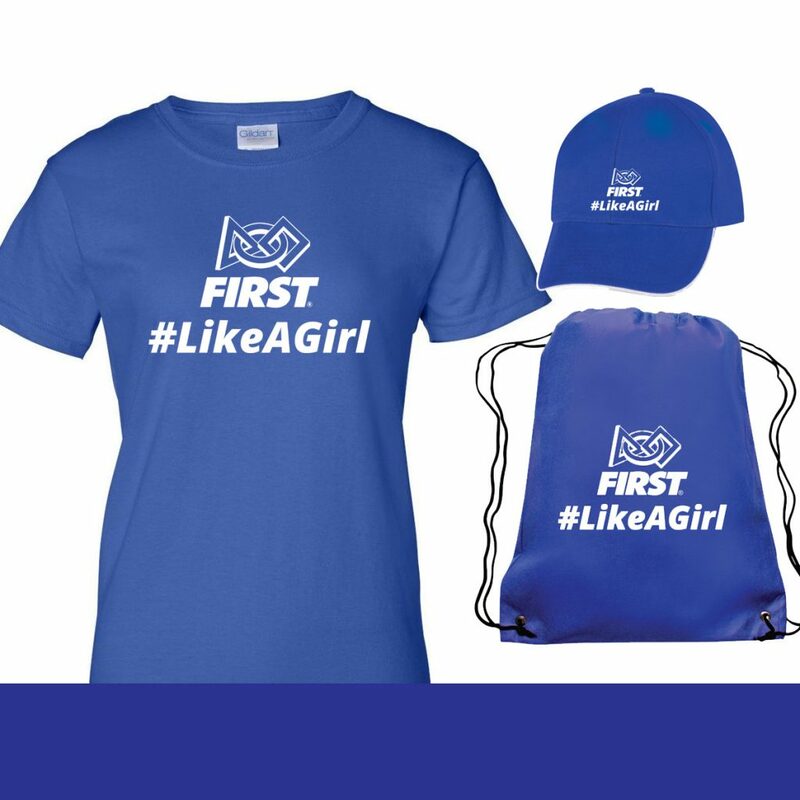 Purchase #FIRSTLikeAGirl merchandise for your favorite FIRST fanatic while supplies last! Choose your favorite combo of shirts, baseball hats, and drawstring bags- and each order receives a free #FIRSTLIKEAGIRLBUTTON! Women’s, youth and unisex shirt sizes available! FREE Shipping on all orders. Orders are fulfilled as soon as possible.